In the 90s, legendary b-movie filmmaker Roger Corman was given the opportunity to produce a film of Marvel’s first family, the Fantastic Four. But after the film was shot and completed on a meager million dollar budget, it was suddenly shelved, and the cast and crew informed that it would never be released. This documentary tells the story of how the film came to be. In the late 90s and early 2000s, Roger Corman’s Fantastic Four movie was something you’d hear stories about, from time to time. You’d see articles in Wizard Magazine spinning tall tales about a film so bad you couldn’t believe it. The costumes and sets like something out of a highschool play, the dialogue cheesy enough to spread on a cracker, the whole thing unbearably, unbelievably campy. This was one of the urban legends of the time, a horror story about just how bad a comic book movie could get. And maybe if you were lucky, you’d get to see it. You’d know someone who knew someone who had a copy, or maybe your town had a convention that didn’t crack down too hard on bootleg sales. After all, these were the days before YouTube, before downloading, and eBay was only just starting up. Of course, all that’s changed now. That kind of rare, mysterious, almost legendary pieces of pop culture doesn’t really exist anymore. Wanna watch the Star Wars Holiday Special? You can, right now, for absolutely nothing. That weird Italian colorized version of Godzilla? Harder, but not impossible. It’s all out there now, barely more than a few keystrokes away. And as a result, a lot of these cult oddities are receiving re-examinings now that the veil of mystery and myth has been stripped away. Corman’s Fantastic Four, to return to the topic at hand, has slowly started to shed its reputation as a staggering embarrassment to all involved. Now it’s finding audiences who instead see it as adorably low-budget yet earnest little b-movie that got shotgunned in the kneecaps by an uncaring studio, which may have had its sights aimed in that direction from the get-go. Now, the film is the subject of its very own documentary, Doomed! The Untold Story of Roger Corman’s The Fantastic Four by writer/director Marty Langford, to finally set the record straight with interviews from the cast and crew. For those interested in the history of the comic book movie and b-movies, this is a godsend, shedding new light on a subject that’s been plagued by misinformation and myth. The film is composed of interviews with the principle and secondary stars, the director, writers, editor and really everyone involved on the production side of things, recounting their memories of the production and the film’s sudden shelving. There are anecdotes aplenty about the film’s low-budget origins, like stories of rats in the studio kept at bay by one diligent cat, the cast’s slow realization that they weren’t working on the blockbuster production they expected, and of course their reactions to the news that the film would not be released in any format. For those interested in the subject, it’s all extremely interesting. However, it is presented in a very by-the-books way. The documentary is a succession of talking heads intercut with footage from the film and any relevant stills or newspaper clippings. For those looking for a doc that pushes, or at least gently nudges the possibilities of the genre, Doomed may not be the most exciting thing to watch. Not that a lot would be needed to spice things up, to add a small but somewhat needed touch of flair. It’s a documentary that leaves the subject matter and the personalities of the interviewees to carry it, with no room for personal touches. But more troubling, Doomed suffers for a very narrow focus. The film chronicles as much of the production as possible, but as mentioned at the start of this review, there’s another component to the story of Corman’s Fantastic Four. The film’s legacy as an underground item, a piece of comic book movie and pop culture history, is sadly given very little lip service, and this is a serious oversight. This is one of those films where the consumption side of things is as much of a part of the story as the production side, and more perspective from that front is sorely needed. Find someone, anyone, who grew up hearing about this film, who first watched it on a grainy 10th-generation VHS copy. 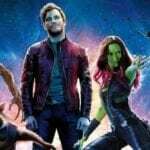 There’s no shortage out there of film geeks with a particular interest in comic book movies who can talk about the cultural side of things, the film’s status as a part of the bootleg scene, its infamy within the comic book movie genre. 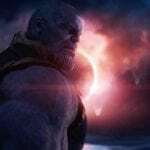 At least some attention should have been given to that aspect of the film’s history and legacy, but instead the filmmakers chose to focus entirely on the production, and the film is less than what it could have been as a result. Similarly, why not talk to a director who later worked within the genre who can talk about the legacy that the film, and its legend, left behind? Did future directors see it as a cautionary tale, a lesson in what not to do? Was it a boogeyman to people like Bryan Singer and Tim Story, something to react against and reject? It isn’t as though the film was only recently rediscovered, it’s been around on the bootleg circuit since the late 90s, so surely it, through its infamy alone, had an impact on films that came later. There are so many angles from which to discuss the Corman film, but Doomed seems interested in few of them. Of course, adding more angles to the mix runs the risk of making the film seem unfocused or scattershot, but that’s a worthwhile risk when the alternative is simply leaving much of the story untold. These gripes aside, Doomed is still well worth a watch for enthusiasts of comic books and their big-screen adaptations. It’s clearly made with a lot of love, affection and hard work, all of which shines through and makes for a compelling watch.